Healthcare Department to Integrate with SMART Technology or Smart Healthcare. Singapore is one of the unique countries having an excellent health outcome in spite of the low economic cost. Credit goes to all financial health systems which have combined the subsidies with individual responsibility. The country showed a great performance despite having only 3 million residents in the area of 660 sq. kilometers. Health care costs are becoming a challenge for each country. And, so the efforts have been made to integrate healthcare with smarter technology. The cutting-edge ceremony was held on April 18, 2017, to combine the healthcare with the latest technology in Singapore. Mr. Gan Kim Yong, the minister for health described the Woodlands Health System (WHC) to be the most important component for meeting future healthcare needs. The new care models were introduced at WHC which will help in more community-based care culture. So, Healthcare Department is being Integrated with SMART Technology. Among the national Healthcare Group (NHG), WHC is the public healthcare group in Singapore facilitating home healthcare services. It aims to provide 2400 hospital beds and a community hospital, general hospital, a nursing home and also daycare services for the needy citizens. It is to be expected that WHC will be the first healthcare provider in Singapore and which will be the combination of community and general hospital and will also provide the long-term healthcare facilities. This will be said to be effective because of having all the elements in one place. The expected year of its opening is 2022. The amalgamation of home healthcare services with the automation and SMART technology, WHC has many services online, including filing in medical information, automation of manual work and ordering medicines. The online facilities make it easy for the professionals of healthcare to devote additional time to their clinic, focus on their work and instruct about the patient care roles. However, the ministry of health has provided with these three strategies that will support healthcare unions, healthcare professional, research and academia, all they want for home healthcare services. With the innovation in the healthcare system, workflows will review to increase the productivity for better focusing on the patient care. 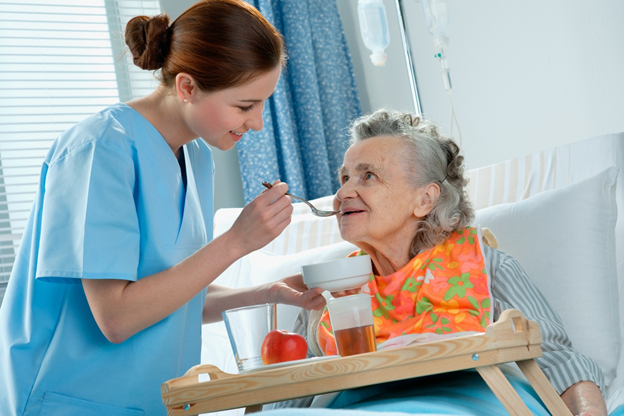 Especially, the tasks of nurses will review to check out how much time they spend on inventory management, patient transport, food service and documentation. Afterward, scaling will be done with the help of cost-effective technology to make the work easier. New schemes will introduce for providing the different roles for the Singaporeans who are in their mid-level career and help them in finding more opportunities. New training pathways will open. By developing new skills in the healthcare unions, more people will be attracted to join the profession of nursing. In establishing community hospitals, community scholarships are introduced for grooming the future nursing professionals. All will help out for the nurses to enhance their skills according to the framework and support training programs. The aim is also to introduce patient-centric solutions that will be innovative and that can test bed in the development of new hospitals such as the Woodlands Health Campus (WHC). New technologies will be applied both in patient care and in operations. For example, RFID technology is used for monitoring of the virtual patient, tracking the patients in real time and for logistics solutions to observe the top usage medicines. By using such technologies, an online platform for providing healthcare services will is forming which wills linkage the patients and professionals to provide home health care services and supplies. Also, it empowers patient for helping in making more effective decision making and for self-care. Unlocking the untapped resources, it will improve the match of demand and supply. This artificial intelligence will enhance the services of healthcare unions. As Mr. Gen said, “This high technology environment can also simultaneously be a high productivity and high touch setting such as a healthcare institution.” The healthcare providers will digitize their medical records and could connect it to the national health records system. Eventually, it will result in safer and better patient care. So, the purpose of maximization of healthcare value for the patients with safe and appropriate care will fulfill. Meanwhile, recently a future-ready integrated healthcare campus has been established in Singapore, as an initiative to bring more smart technology in the health-care sector alongside, incorporating more digital automation and IT innovation trends into a design. The new readymade hospital is meant to be equipped with the latest medical facilities and technology that can improve the lifestyle and well-being of the Singaporeans as well as create a benchmark for world’s best healthcare practices for the immigrants too. A groundbreaking ceremony was organized last year in April to celebrate the idea of this new integrated healthcare campus under the Ministry of Mr. Gan Kim Yong where, Woodlands Health Campus (WHC) was decided as a key component behind operating the masterplan of Singapore’s HC2020, to meet the future of special health care needs in the state. Besides this, the new models devised by WHC, are expected to bring a productive shift in community-based care initiatives for a long term. Moreover, WHC will be responsible to bring SMART technology, automation and IT innovations within the infrastructure of the new campus by introducing building exterior, online ambulance services, Wifi equipped hospital operations, exceptional-level care and out-patient experience to maximize value, deliver safe & attain appropriate and effective care for themselves. Also, see, Are Softwares revolutionizing hotel industries?